Rest in peace, little one. “Bernie Baby” Oliver Lomas tragically died of Sudden Infant Death Syndrome on Thursday, February 25, according to his mom Souxsie Lomas’ social media posts. He was just shy of 4 months old. 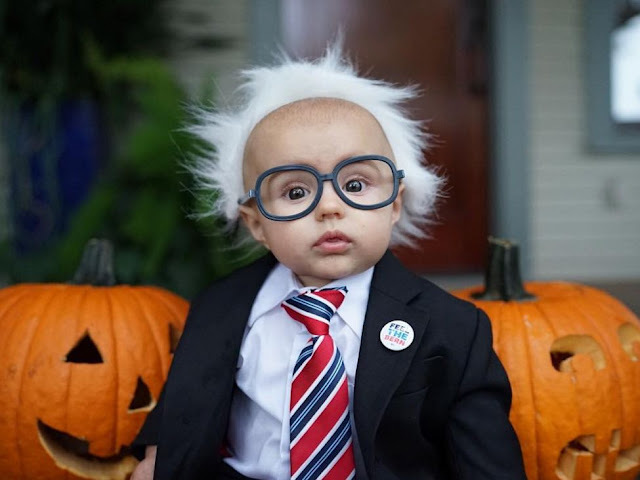 Oliver became a social media sensation earlier this year after his mom dressed him up in a white wig and dark-rimmed glasses to look like Democratic hopefulBernie Sanders. (CNN) He warmed the hearts of Bernie Sanders supporters everywhere when he appeared at a Las Vegas rally dressed as the candidate -- with a mop of gray hair, a tie, and black, thick-rimmed glasses. "Please come share w/us the short, beautiful life of Oliver who will be greatly missed but not forgotten," his mother, Susan Lomas, posted on Twitter. A wake is scheduled for Monday. The boy known to the world as the "Bernie baby" will be buried Tuesday.